NYON, Switzerland — A new generation of Manchester United players will have to get through Barcelona to win the Champions League. 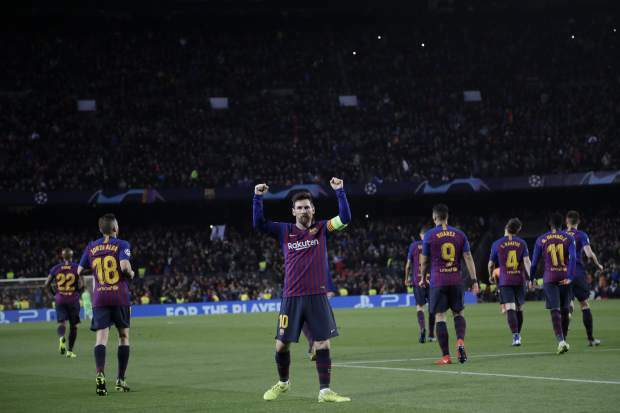 Messi scored the last two times the teams met — in the Champions League finals of 2009 and 2011. The 31-year-old Barcelona forward is also the leading scorer in this season’s competition with eight goals. “I’m coming back to my second home. (at)ManUtd,” Pique wrote on Twitter. Tottenham will host Man City in the first leg on April 9, which could be played at Wembley Stadium or at the north London club’s soon-to-be-completed new arena. They also play in the Premier League in Manchester less than three days after the second leg. Liverpool, which lost in last year’s final to Real Madrid, will host Porto in the first leg on April 9.